There are lots of people out there recommending how to target the upper and lower chest, but they are only right half of the time. This article will show the scientific results behind pectoral training, so you can know for sure what works and what doesn’t. 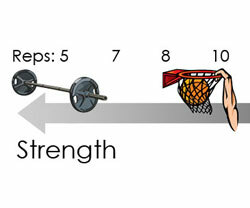 The strength endurance continuum shows that strength and endurance are in competition with each other, so it is impossible to maximize both at once. An example of this is Usain Bolt, he’s the fastest man in the world yet he doesn’t win marathons. To become the fastest in the world he had to maximize his strength, but by doing so, he limited his endurance potential. Read on for more details. There are 3 great exercises for your back that everybody should consider. Making your lower back strong is definitely useful in avoiding injury. Not only will it make lifting heavy things relatively easy, but it will make lifting with good technique second nature. 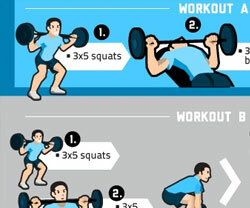 Read on to learn about the 3 best exercises. People often focus solely on diet and training, forgetting that sleep plays an important role too. This article will cover the issues caused by not sleeping enough and how much sleep you need to avoid these issues. Take a look at the quote below for a taste of what more sleep can do for you. 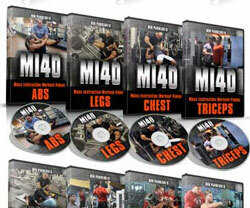 Starting Strength by Mark Rippetoe is a famous book and DVD in the fitness industry. While there are thousands of workout routines available on the internet, there are few resources that explain technique as thoroughly and clearly as Starting Strength. 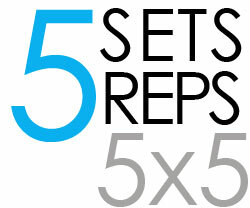 It focuses on big compound movements including Olympic lifts such as the Squat, Deadlift and Power Clean. If you want to lift safely, then this book will give you the knowledge you need to do so while making great strength gains at the same time. This article is about the program outlined in the book. If you want to know more about technique, then I recommend buying the book.